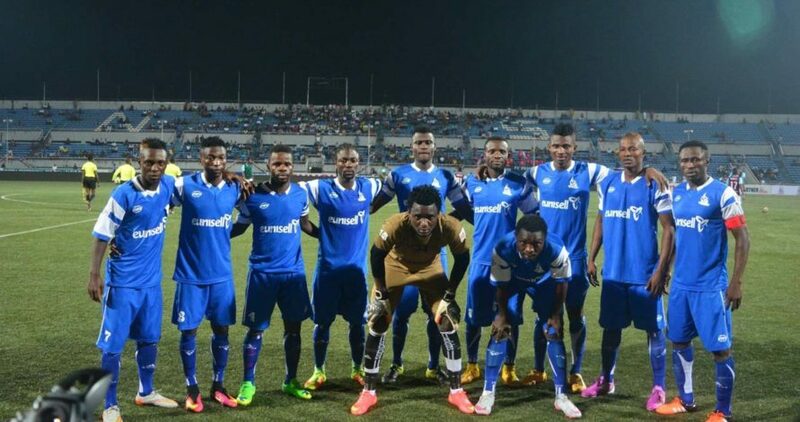 Nigeria’s only flagbearer in Africa continental tournament, Rivers United have a huge mountain to climb in a bid to qualify to the Semi final stages of the CAF Confederation Cup after failing to capitalise on their home ground against Club Africaine. Gowon Stadium the Port Harcourt based team can not engineer a victory that could have put them just a step away from qualifying to the knockout stages of the competition as they lost 2-0 to Club Africaine. The victory took the Tunisian giants to the top of Group A standings with nine points, Nigeria’s Rivers remain fourth.with six points. The defeat means Rivers United must win their last group match against FUS Rabat in Morocco in what appears to be mission impossible. Two of the major mistakes the team made against the Tunisian club was that they failed to utilise the few goal scoring chances that came their way couple with the fact that, the team’s defensive wall lost concentration when it matters most. Despite controlling possession in the entire duration of the encounter, the team profligacy in front of goal was punished thanks to a super free-kick from Manoubi Haddad in the 62nd minute. However, some few minutes to the end of the match, Club Africain sealed the maximum points as Mokhtar Belkhiter scored from a deflected shot to dent Rivers United hope of making it to the semi final stages.